Tuesday’s shaping up to be a legendary day for PC gamers, with not one but two long-awaited updates to major franchises poised for release—Fallout 4 and Starcraft II: Legacy of the Void. And as promised last week, Nvidia’s making sure PC gamers are ready for action, pushing out WHQL-certified Game Ready drivers dedicated to optimizing graphics for both of the titles as well as next week’s just-as-anticipated Star Wars Battlefront. The driver, version 358.91, is already popping up for folks who update via Nvidia’s GeForce Experience software. While downloading Game Ready drivers will soon be a GFE exclusive, that’s not the case yet. Nvidia’s website also offers downloadable versions of the drivers for Windows 10 as well as Windows 7, 8, and Vista. 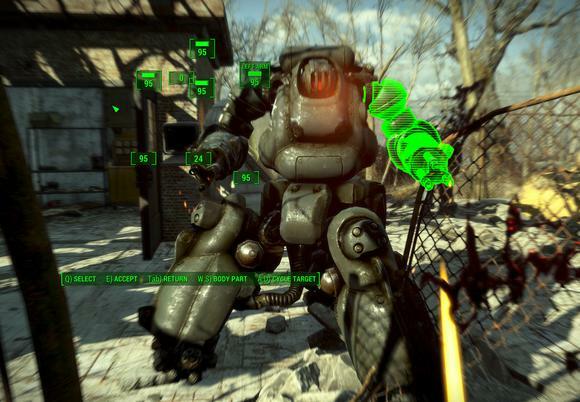 As is the case with most games that were developed with Nvidia’s help—Fallout 4 features Nvidia’s Volumetric Lighting technology—the company’s also released a comprehensive guide to Fallout 4’s graphical options, complete with performance benchmarks and bevy of screenshots for each setting of each option. You’ll want to check it out regardless of which brand of graphics card resides in your rig, though the guide’s performance benchmarks obviously focus on GeForce-brand GPUs. Don’t forget to check out PCWorld’s deep and detailed Fallout 4 review while you’re waiting for the game to unlock at midnight on Monday. In a nutshell: If you loved Fallout 3, you’ll love Fallout 4, as it’s largely more of the same. AMD dropped beta drivers for Call of Duty: Black Ops III last week, but hasn’t said whether it’ll release Radeon drivers specifically optimized for Fallout 4, Starcraft II: Legacy of the Void, or Star Wars Battlefront (though AMD was heavily involved in promoting the latter and released a driver for its beta test, so an update is likely for that at least). The company likely has its hands full at the moment with the sweeping new Radeon Software Crimson poised for release sooner than later.